With the United States of America making good progress on minimum Internet-of-Things security, we hoped the European Union was willing to listen to our ideas to fast track existing EU plans and programs. On Monday the 6th of November, we were very pleased to get the opportunity to speak to a Member of the European Parliament, who understands the issues of digitalisation in general, and cybersecurity in particular. 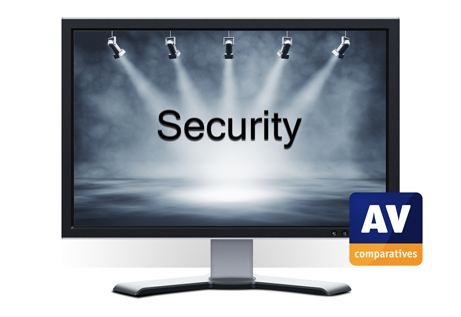 At AV-Comparatives we leave politics to the politicians; our focus is on providing unbiased security tests for users. However, we feel we have a duty to ensure that decision makers have access to adequate technical information. When searching for representatives with a deep and good understanding of IT security, we were lucky enough to be introduced to Dr. Barbara Kappel, who is a member of the European Parliament since 2014, and has cybersecurity on her agenda. Before she went into politics, Dr. Kappel was president of the Austrian Federal Agency for Technology Transfer and Security Research. Most Members of the European Parliament (MEP) have a very busy schedule, so we were delighted to receive an invitation from Dr. Kappel to discuss our ideas in the Members’ Bar of the impressive building of the European Parliament at Brussels. Andreas Unterpertinger of AV-Comparatives spoke to her about an EU-wide quality seal for parental control software. Dr. Kappel says she is always “looking for ideas and opportunities to speed up long-term programs with fast-track projects”. For example, she mentioned the recently assigned budget for the ‘promotion of Internet connectivity in local communities’ which she supported. We are pleased to report that she supported our idea, and offered to introduce us to relevant people and programmes within the EU. Andreas visited Brussels as part of a business initiative by the Standortagentur Tirol, the innovation agency of the region of Tirol. This business initiative was part of the Horizon 2020 services of the Enterprise Europe Network and cluster activities of the Standortagentur. Horizon 2020 is the largest European funding programme for technology, research and innovation and provides EU subsidies for innovation and scientific research to academic organisations and businesses, especially SMEs.